Much of America’s transportation infrastructure is reaching the end of its design life and needs to be reconstructed. At the same time, traffic levels and the resulting congestion levels continue to increase steadily. These two factors combined pose a significant challenge to State Departments of Transportation (DOTs) and the Federal Highway Administration (FHWA). To address this challenge, FHWA has been working with State DOTs and industry to develop a “toolbox” of potential solutions. One tool in this toolbox is performance contracting. Performance contracting is an approach where a private contractor is responsible for achieving a defined set of goals, and where performance goals are specified instead of methods. 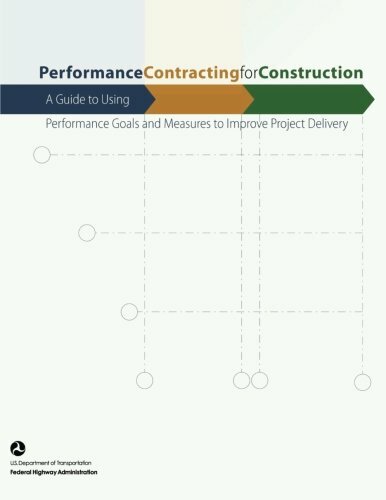 Using a performance contracting approach will allow owner agencies to define and communicate to construction contractors specifically what they and FHWA want to achieve in their construction projects. The construction contractors on performance contracts should share the risks and rewards as a project partner, and defined performance goals and measurement methodologies will provide a basis for applying incentives and disincentives. However, it must be stressed that for a performance contract to be successful, the contractor must be provided with flexibility on how to perform the work and the performance goals must be under the control/influence of the contractor. FHWA has been working over the past 15 years on evaluating alternative contracting procedures under the Special Experimental Projects No. 14 (SEP-14) program. These procedures, which include performance contracting, incentives/disincentives, and Best Value awards, have resulted in time/cost savings and improved contract management. FHWA anticipates that the use of these procedures will expand greatly in the future as a means of addressing current challenges. 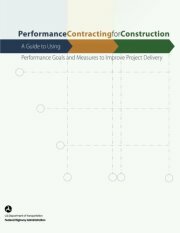 The purpose of this Guide is to provide States with processes and materials that they can use to accelerate the development of a performance contract solicitation package for construction contracts.